A spacious and attractive converted former steading and cottage has been brought to the Argyll market by CKD Galbraith. West Machrimore is the dream family home set in landscaped gardens with excellent views over the Southend countryside. 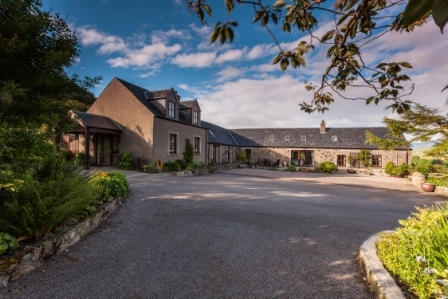 There has been a growing trend across Scotland over recent years for converting former traditional farm steadings giving them a new lease of life. Redundant buildings have been transformed to have the potential to generate extra income commercially or to create beautiful rural homes. 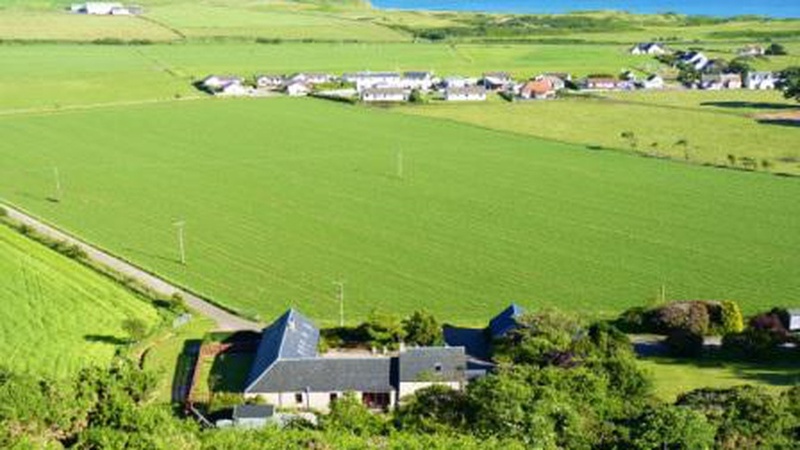 As with all properties however, location is key and West Machrimore is ideally situated in a peaceful location on the outskirts of Southend, approximately 10 miles to the south of Campbeltown. The steading conversion links in to the former factor's house for Argyll Estates and is now integrated as one spacious five bedroom house. The property enjoys an elevated position giving it fantastic views over the coast line and beyond to Northern Ireland. West Machrimore's entrance leads into the large breakfasting kitchen which includes a central breakfast bar, tiled flooring and solid beech worktops the perfect kitchen for lazy Sunday brunches and socializing with family and friends whilst cooking. The rather impressive dining room is accessed via the kitchen, it has extensive glazing to the front and rear and full height ceiling with exposed roof trusses giving the room a bright and airy atmosphere during the day and a sense of grandeur by the evening. The ground floor also features the equally impressive lounge, master bedroom with en-suite and walk-through dressing room, and a further two double bedrooms. There are two double bedrooms on the upper floor one of which can be accessed by a staircase from the living room. Both the upstairs bedrooms have gallery space which would be ideal as a home office, play area or for general storage. There is a small paddock to the west of the property and to the rear is a beautifully terraced garden, with vegetable plots, a patio area, summer house and potting shed. Planning consent has been formerly granted back in 2000 for the erection of a detached dwelling with the paddock area and whilst this has subsequently expired the site still has excellent potential to provide additional accommodation. 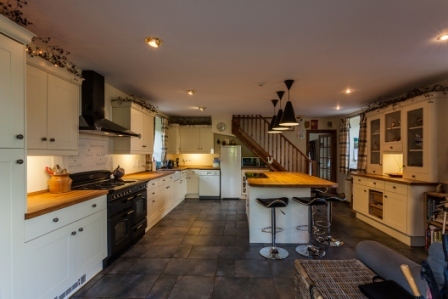 "It's particularly exciting to have a property like this in such a beautiful location, we expect this property to be very popular so early viewing is advised! The nearby village of Southend includes all the local amenities you need and the 18-hole Dunaverty golf links; whereas Campbeltown provides a good range of retail outlets, cinema, bars, restaurants and a library. There is also a secondary school and a small hospital in Campbeltown and the airport close to Machrihanish offers regular flights to Glasgow. "Argyll is one of the most beautiful regions in Scotland and Kintyre enjoys a mild climate being on the Gulf Stream, with the breath-taking Dunaverty beach less than a mile away and the islands of Davaar, Gigha, Islay and Arran also within easy reach." 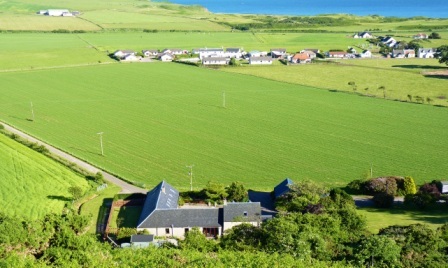 West Machrimore is now on the market at a guide price of 375,000. Find out more about this property or please call CKD Galbraith's Stirling office on 01786 434600.